Vetiver, The DePue Brothers On Mountain Stage At the heart of indie-folk group Vetiver are the songs of San Francisco-based vocalist and guitarist Andy Cabic. 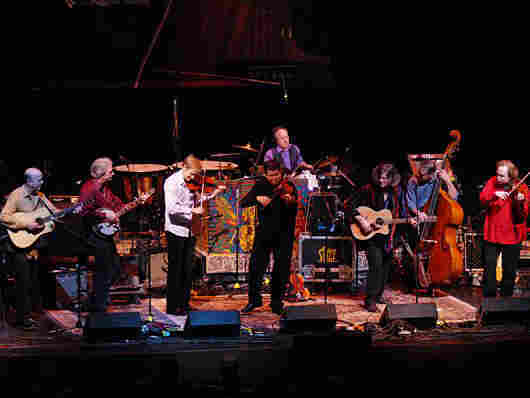 At the heart of The DePue Brothers is a family of classical musicians who love bluegrass. Both perform live here. 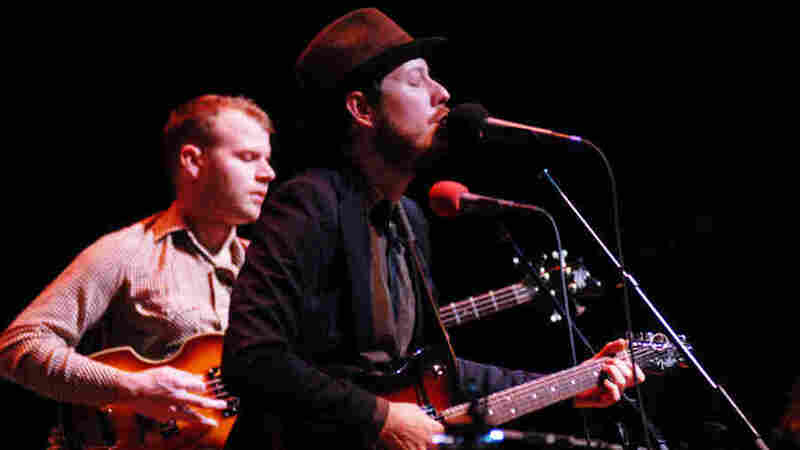 Vetiver, led by Andy Cabic (right), performed on Mountain Stage. At the heart of the indie-folk group Vetiver are the songs of San Francisco-based vocalist and guitarist Andy Cabic. Joining Cabic to perform songs from the band's fourth album, Tight Knit, are Daniel Hindman on guitar, Sarah Versprille on keyboards and vocals, Bob Parins on bass and vocals and Otto Hauser on drums. The DePue Brothers -- Alex, Wallace, Jason and Zach -- bring their hybrid mix of classical music and bluegrass to Mountain Stage from all across the country. Born to a classical pianist in the Philadelphia area, the DePues would all take up music and perform professionally around the U.S.
Wallace DePue plays with the Philadelphia Pops Orchestra, where he is the assistant concertmaster. Alex DePue recently toured with rock guitarist Steve Vai. Jason DePue performs with the Philadelphia Orchestra, and Zach DePue left Philadelphia to became concertmaster of the Indianapolis Symphony Orchestra. Joining the brothers are established, award-winning musicians in their own right: drummer Don Liuzzi, guitarist Mark Cosgrove, banjo player Mike Munford and bassist Kevin MacConnell. This Mountain Stage performance originally aired April 9, 2010.